According to composer’s friend, prominent Russian poet David Samoilov, “The outward pattern of Boris Tchaikovsky’s life is simple. Its plot and content are in his works. He grew up, he studied, and what followed is music..."
Boris Alexandrovich Tchaikovsky (no relations to Pyotr Ilyich) was born in Moscow on September 10, 1925. His father was an expert in statistics and economic geography (and also a capable self-taught violinist), and his mother was a medic (and it was she who urged him towards a musical career). The parents were talented individuals who worked very efficiently, knew literature and art well, and passionately loved music. The ethical principles inherited from the parents became his lifelong inner core. He entered the Gnessin's Primary Musical School at the age of nine. Among his first musical teachers were Alexandra Golovina, Elena F. Gnessina. B.Tchaikovsky's first teacher in composition was Eugeny Messner. Then B.Tchaikovsky in due course proceeded to the Gnessin's Specialized Musical School, where he studied with Vissarion Shebalin, Igor Sposobin, A.Mutly. 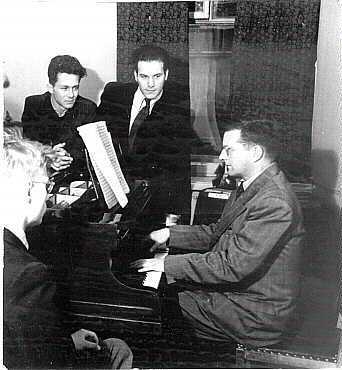 In 1943 Boris entered into the Moscow Conservatory where he first studied composition with Vissarion Shebalin. In 1946 Dmitry Shostakovich began teaching at the Conservatory, and Shebalin recommended that Tchaikovsky move to his class. But in 1948, during the ‘anti-Formalist’ campaign the Communist Party launched against composers it felt had to be bent into submission, Shostakovich and Shebalin were both dismissed from the Conservatory. Their students were declared the victims of ‘wrong’ teaching and so were permitted to continue their education. During the 'anti-Formalist campaign' Boris Tchaikovsky refused to renounce his teachers, proving the integrity and strength of his character. Boris Tchaikovsky thus graduated from the Conservatory in 1949 as a student of Nikolai Myaskovsky (Myaskovsky was also criticised by the Party but not removed from his teaching post). 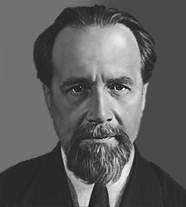 In 1949 year Nikolay Myaskovsky had written: "...Boris Tchaikovsky is very gifted young composer with good composers technique and undoubtedly significant creative individuality". After Conservatory Boris Tchaikovsky found an editorial post in the musical department of All-Union Radio, but in 1952 he decided to leave the job in order to devote himself to composing. From then on he earned his living from his music, not least from film scores (he wrote more than fifty cinema and TV film scores, incidental music for radio and theatrical plays). Boris Tchaikovsky also became a public figure and occupied a number of official posts. When in 1968 Georgy Sviridov became First Secretary of the Composers’ Union of the Russian Federation, Shostakovich advised him to invite Tchaikovsky to join the committee. And so he did, remaining in the position until 1973 – refusing payment, since he considered that this ‘public’ work should be undertaken on a voluntary basis. 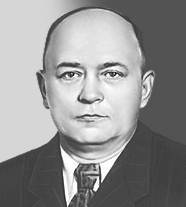 Later, in the 1980s, he served on the board of the Composers’ Union of the USSR. In 1969 Boris Tchaikovsky was awarded by the USSR State Prize (for his Second Symphony), and in 1985 he became a ‘People’s Artist’ of the USSR. During the last years of his life (from 1989 to 1996) he taught at the Russian Academy of Music, where he was a Professor in the department of composition. Composers Stanislav Prokudin, Rade Radovich, Alexander Khristianov, Elena Astafieva and Jakov Kurochkin were the students in B.Tchaikovsky's composition class; Yury Abdokov was the pupil of Boris Tchaikovsky at the post-graduate course. Boris Tchaikovsky died on February 7, 1996 in Moscow.